We are settled in a Vancouver hotel the night before my daughter’s second treatment of Remicade to help manage her Crohn’s disease. There is no cure for Chron’s but this may help her feel better. 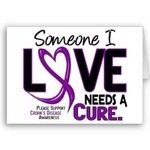 It is a challenging disease because every persons symptoms and treatments are different.